Garanflo & Meyer Consulting is a Texas physician licensing service, focusing exclusively on helping individual practitioners and third party employers in Texas get licensed. The Texas medical licensing application process can be tedious and time consuming. At G&M Consulting we have over 50 years of experience in licensing with the Texas Medical Board (TMB), and understand the licensure process inside and out. We help physicians, physician assistants, surgical assistants and acupuncturists navigate the complex Texas Medical Board licensing process. Applying for medical licensure in Texas is a time consuming and potentially stressful process. With all of the rules and regulations involved in applying, it can be difficult to know if you are eligible for a full license. 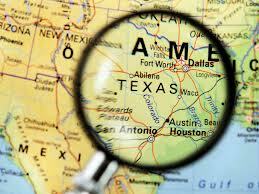 We are experts in Texas physician licensing procedures. Trust Garanflo & Meyer to handle your application, and save yourself the time and stress of navigating the process alone. Let Us Handle Your Texas Medical License Application! Obtaining your medical license can be especially complicated if you don’t know what documentation you need to provide the TMB. At Garanflo and Meyer, we handle the entire process for you. We deal with the hassle of getting everything to the TMB, and we monitor the progress of your Texas medical license application every step of the way. We help individual practitioners as well as third-party employers seeking medical licensure in Texas. Count on us to help you get the right documents from the right sources, to the right place. Let us handle the legwork for you! We’ll follow up with the TMB to make sure your application is progressing. Your Texas medical license application process will be much faster with Garanflo & Meyer Consulting as your guide and advocate.